If you see this ad anywhere then flag it as a scam. 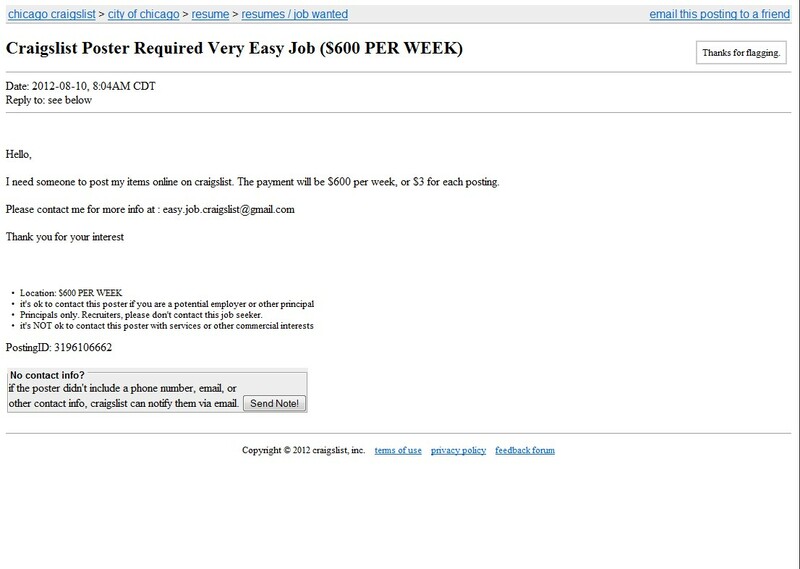 Scammers in Romania are plastering Craigslist with ads looking for idiots to post their scam ads on the site. If you think you're going to make any money you're sadly mistaken. You will not be paid. I need someone to post my items online on craigslist. 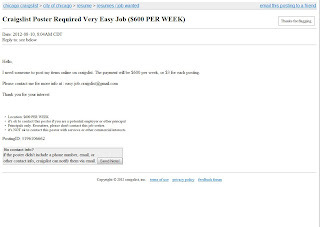 The payment will be $800 per week, or $4 for each posting. •Principals only. Recruiters, please don't contact this job seeker. or $4 for each posting. I need someone to post my items online on craigslist. The payment will be $600 per week, or $3 for each posting. 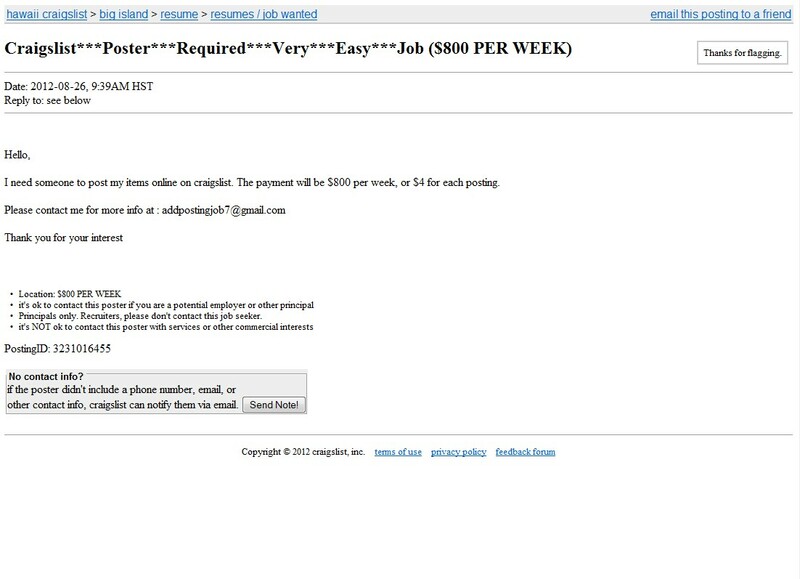 The scammers are asking fools to post ads on Craigslist for tickets to football games and events. 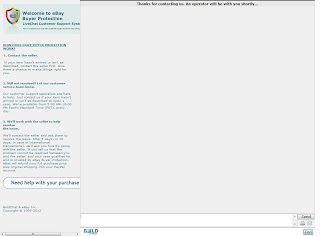 Here is an image of the chat I had with the scammer. The domain ebay-tickets-purchase.com doesn't exist. The scammers are using spoofed emails to pretend they are from eBay. NEVER USE WESTERN UNION TO MAKE PURCHASES ON THE INTERNET. ONCE THE MONEY IS PICKED UP ITS GONE FOREVER!!!!!! Payment must be sent by Western Union Money Transfer ! eBay Buyer Protection covers this transaction if the payment is handled through Western Union. We will offer you the same protection like you are paying with PayPal directly. Payment instructions:To submit the payment with Western Union Money Transfer you have to pay for the transfer with cash at a local Western Union agent. 1. Visit http://www.westernunion.com/info/agentInquiryIntl.asp to locate the Western Union Offices in your area . 3. Give the form, the money(cash), and a proof of identity to the clerk. 4. The clerk will give you a receipt with the payment details which you will have to send to the seller for confirmation. Address: 33 Holders Hill Rd. Country: United KingdomNote: The funds will not be released under any circumstances. 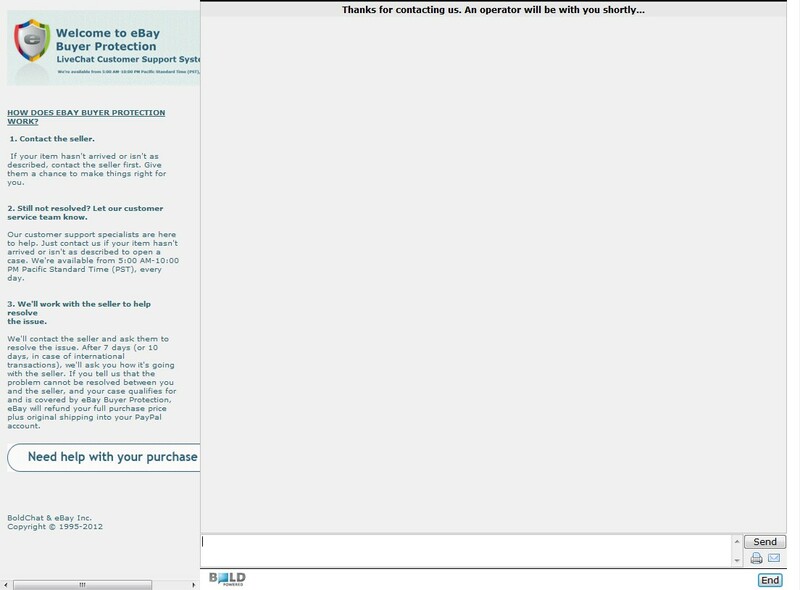 We will hold the payment until you will send us your confirmation that you have received, inspected and you agree to keep the item. When we will have your confirmation we will release the funds to the seller. Do not forget to inform the seller (james13woods@gmail.com) that you have sent the payment, and provide all the information he requires to confirm it! Within 24 hours, you will receive the tracking number for your item. We require eBay sellers to comply with our resolution process. Sellers permit us to make a final decision, in our sole discretion, on any case that a buyer opens with eBay under the eBay Buyer Protection Policy. For seller unresolved cases, we will refund the buyer for the full cost of the item (including any applicable sales tax) and the original shipping. Currently, the seller (James Woods) has a deposit of $ 4,100.00 in an eBay Buyer Protection Account. Transactions with this eBay seller are covered by purchase protection against fraud and description errors. For your safety, this account was locked today (26 - August - 2012), for 45 days time period. The seller is unable to withdraw any money from it, within this period. Should you need a refund for this transaction, the insured amount will be taken from the seller's purchase protection account and sent to you. The refund is sent to your bank account, or by check or money order. The way you are refunded is at your choice. You have 45 days from the above verification date to request a refund. Refund requests are processed within 3 days. 4) Arizona Cardinals vs. Philadelphia Eagles, Sect 127 Row 1! Here are the instructions for posting that the scammer is sending to his "workers". 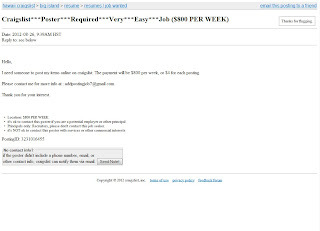 Please avoid similar posts on Craigslist and remember to FLAG the posts. Donor Season Tickets! 28 Yard line! Section 32 Row 19, Seats 27,28, on the aisle. All home games including OU vs ND and OU vs OSU! These seats do include the new cushioned "SOONER SEATS". You can start posting , you must post the tickets at TICKETS BY OWNER category . You will get paid at the end of the week . and you have a great view of the action. This could be one of the games of the year. College Game Day should be there! 4 Lower Club Level football tickets to see the Georgia Bulldogs play Florida in Jacksonville, FL. These are GREAT seats on the 35 yard line in the Club Level with chair backs on all of the seats. Four seats together for the Home opener between the Denver Broncos and the New England Patriots on October 7th at Gillette Stadium in Foxboro. Title: PATRIOTS vs BRONCOS 4 TICKETS on the field!! PAYTON comes Back to Foxboro!!! 4 Tickets for the Epic Battle when the Broncos come East!!! Season Tickets! - ALL SEATED TOGETHER! - Tough to Find! Four Excellent tickets for a once in a lifetime performance. AMAZING CENTER FLOOR 7TH ROW!! student section...you'll be just 21 rows from the field! Title: 4 Dallas Cowboys vs Pittsburgh Steelers - AMAZING LOWER LEVEL SEATS! SECTION: MAIN LEVEL 201 ROW 12 "GREAT SIDE BY SIDE SEATS"
I have some of the best seats in the house for Jennifer Lopez and Enrique at the American Airlines Center. Hard Tickets in hand from season ticket package. in Arlington, TX. These seats are fabulous seats on the FRONT ROW of Section125, Row 8, seats 1,2,3 and 4 on the aisle! Get up and personal with the players in these amazing seats! You will feel part of the game! are some of the best seats in the stadium that deliver a perfect view of the game and are even close enough to get some autographs. in the stadium that deliver a perfect view of the game and are even close enough to get some autographs. Four season tickets for the game against the Green Bay Packers. in Section 132 Row F and are side by side.This Section gives you an amazing view of the field. 4 tickets for when the San Francisco 49ers visit the Arizona Cardinals at the University of Phoenix Stadium. The seats are located in Section 132, row 6, seats 9 and 12. They are on appproximately the 30 yard line on the visitor side. Not only are these seats close to the action, they also provide a great view of the entire stadium. Along with the 4 tickets you will also receive a RED preferred parking pass which will allow you to park right next to the stadium! 4 Seats Together, Lower Box 6, Row K, 11 Rows from the Field! Row K is a WIDE Row, so plenty of Leg Room! 49ers Sideline, Overlooking South End Zone! 49ers Players walk 11 rows in front of you! Gold Rush Girls Cheer on the Old Giants Dugout right in front of you! PLUS MAIN PARKING LOT PARKING PASS! 4 season tickets for this HUGE USC GAME! Title: USC vs. Notre Dame Football: Four (4) 30YD LN w/ C&G DONOR PARKING! Section FLD GA. Row GA. Section Lower Level 101, Row 18, Seats 11 & 14. Four side-by-side tickets to see the Chicago Bears vs. St. Louis Rams at Soldier Field!!! Game to be played on Sunday, September 23rd, 2012 at 12PM CST. of monitors with the Bears and other games. Title: Chicago Bears Vs. Indianapolis Colts - "Season Opener" Unbelievable Seats ! that will include all players. Be there to see who wins the 2012 Ryder Cup. These tickets are for the grounds at Medinah Country Club and Saturday's round is the second competitive round of the Ryder Cup with AM & PM sessions. These tickets are for the grounds at Medinah Country Club and Friday's round is the first competitive round of the Ryder Cup with AM & PM sessions. 4. This is a very hot ticket. BRUCE SPRINGSTEEN LIVE AT WRIGLEY FIELD, CHICAGO IL. 4 GA FIELD TICKETS TO SEE THE BOSS LIVE AT WRIGLEY FIELD SATURDAY SEPTEMBER 8TH. 4 Notre Dame -Miami Football Tickets. Soldier Field, 300 level. Good Seats. Title: RAVENS VS PATRIOTS TICKETS LL - 2ND ROW! 134, Row 1, seats 11 and 14. These seats are right in front of the cheerleaders, on the Ravens side with no one in between you and the field! Financial Field. Seats are located together in Section 138, Row 2. 7th Row! - 30 yard Line - Right behind Steelers Bench! the sideline -- you'll get to see a whole new dimension to the game. Seat holders are given access to the Club Level 2 hours prior to the game and 1 hour after! Amenities include, private entrance to the game (no waiting in lines). They are located on the 45 yard line; right near the aisle, about 4 steps down from the entrance. Easy in, easy out. Awesome seats!! Section 122, Row 27...Four (4) seats, side by side, on the 40 yard line, right behind the Packers bench. and 27 rows up, you have a great feel for the game. miss out on these. A once in a lifetime experience. 4 seats together in east balcony on the 40 yard line. See the Huskers and the Badgers in alternate uniforms. section 29 row 34 West Stadium! Parking Pass to Lot #9 included! Lot 9 is 150 yards NE of stadium! 4 Tickets - 49 Yard line 10 rows up from Broncos bench, Section 105. Row 10 seats 19 & 23. Title: Notre Dame Fighting Irish vs Michigan Wolverines - 4 GREAT Seats! the game - watch these two great rivals from 4 great lower level seats! PLUS a parking pass for the JOYCE LOT - Don't pass up this opportunity. FOUR TICKETS - SIDE BY SIDE! SECTION 12 - located between rows 18-29! LOCATED ON THE 25 YARD LINE! AWESOME seats and can't go to the Greenbay game. Here is your best opportunity to see world championships teams. Don't miss this game. Title: (4)Carolina Panthers vs DALLAS Cowboys CLUB LEVEL!!!!! Title: (4)Carolina Panthers vs DALLAS Cowboys LOWER LEVEL!!! Rock the Vote featuring FOO FIGHTERS at Fillmore in Charlotte, NC on Wednesday, September 5, 2012, 9pm. side by side in Section 121 Row 3.
sheltered from rain and snow and also have stadium personel available to get your food and drinks so you don't miss a minute of the action!!! Mountaineers," when Tavon and Gino score, and for post-game handshakes with the players. WVU First Home Game as they take on Marshall Sept. 1 2012 . Great seats with seatbacks!! Be in the stands for the first home SEC game of 2012 as the Alabama Crimson Tide welcomes the Rebel Black Bears to Bryant-Denny Stadium. Four tickets side by side. Great seats. 4 TICKETS Together Sec. 135 Row HH- AWESOME SEATS!!! Title: MADONNA TICKETS, 09/24/12, Wash., D.C./Verizon Center, REAL 4TH ROW AISLE! Four side by side tickets (seats 12 and 16) in Tiger Stadium for the 2012 game. They are on about the 17 yard line of the West Upper Deck. I would imagine that ESPN Gameday will be here too. This is a friendly section, even for visitor fans. Comes with Pre-paid Parking Permit. November 25th, 2012 at Metlife Stadium (Meadowlands Stadium/Giants Stadium in East Rutherford, NJ). These tickets have a primetime unobstructed view. Welcome the Super Bowl Champion NY Giants open their title defense against the division rival Cowboys. Title: New York Giants vs Pittsburgh Steelers Tickets 11/04/12 WITH PARKING PASS!!! Four row 1 tickets! With blue parking pass! very first row on field. Hard tickets in hand! 4 tickets to see Bruce Springsteen live at Metlife Stadium in East Rutherford NJ on Saturday 9/22. These are great seats located in section 117 Row 17 seats 21-24. SEATS ARE BETWEEN THE 40-45 YARD LINE!!! of the LP field North end zone. A great package to a wonderful event. Four tickets to the Saturday, November 24, 2012 Ohio State vs. MICHIGAN Football game!!! !